Have questions about our school rules, schedules, activities, or procedures? Click here to check out our Student Handbook, it has the answers! At Summit High School, we take positive change seriously. Here is our student creed. Summit was recently recognized by KSL for our students' generosity in donating to their "Quarters for Christmas" program. Check out the video here! And way to go Summit students! Meet the Staff of Summit! Our staff are committed to giving their all every single day to make a difference in the lives of our students. 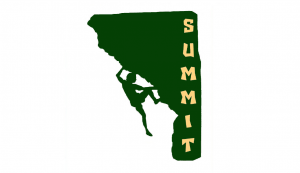 Welcome to Alpine Summit Programs! If you would like to serve on our School Community Council, please contact Dan Biolo at the school at 801-610-8183. They say the hardest climbs are the most rewarding. Founded in 1980, Alpine Summit Programs has been making a difference in the lives of youth in Utah. We serve students who are in the custody of the State of Utah as well as students who are “at-risk.” Additionally, we work with many students who are mainstreamed in district schools with our District-wide mentoring program.